THERE IS NO WAY YOU CAN DO IT..
Relying on others to ‘win’ isn’t enough. It is almost impossible to be consistent every day, every week, every hour if we are relying on somebody or something other than ourselves. Impossible. I have spent the past few days down in South Florida, and whenever I head south, I am fortunate enough to spend time with a special woman named Anita, who has become a mentor of mine. Not a business mentor, but a “life” mentor. Anita is in her late 80s, born and raised in New York, Bayside, Queens to be exact (giving her a tough/ firecracker spirit), spent most of her working years in Los Angeles (where she gained her cool vibe), and now, has settled just south of Palm Beach (where she shares incredible lessons with all who cross her path). Yesterday, she shared with me another lesson. Around 12pm, she showed up at the pool- and I was actually super pumped.. So.. for those of us that are reading this and sub 90 years old.. I hate to tell you.. but it doesn’t get easier… as Jim Rohn says.. “You have to get better”.. so start now. You have to COACH YOURSELF. Give yourself pep talks, give yourself great conversation to get yourself moving. I have a friend Riley who has conversations with himself, since he is his best friend… and as he says, “He gives himself the best advice.” — — an example of self-coaching. Set up a daily schedule the night before and go chase it. Be planned. Create purpose and urgency in your life. Do not compromise on your “must do’s” like working out, eating well, reading positive things, and most importantly, engaging in “real” “live” conversation. Get to work. 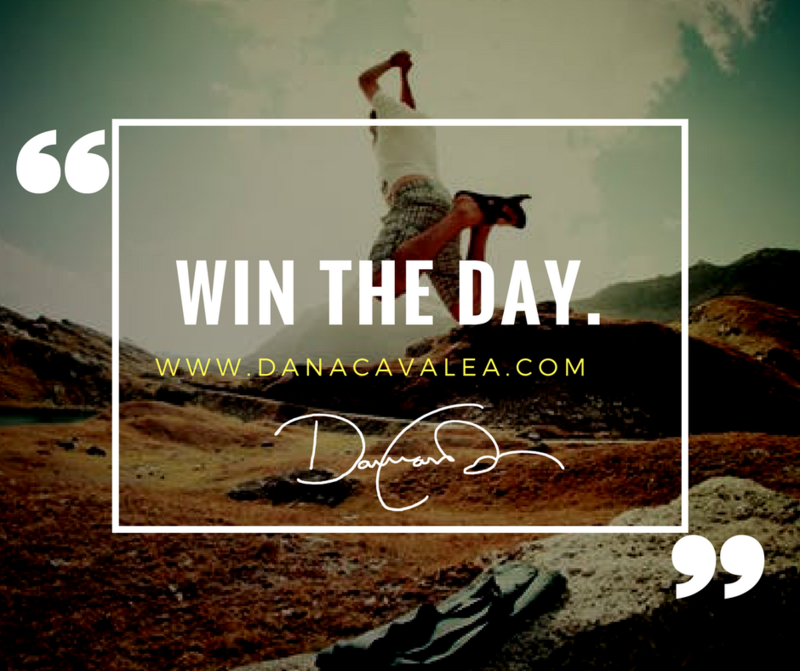 Set daily micro-goals so you can “compete” everyday.. and give yourself a daily feeling of victory with each completion. You would be surprised how good it feels to win first place in a Flywheel Class (that was me this weekend)… winning feels great… but we must challenge ourselves to WIN.